Elsa decided to go into fashion and start her own fashion blog. This "Elsa’s Fashion Blog" dress up game will give you the opportunity to create a photo for a fashionable young woman’s blog along with a famous beauty. Create five outfit ideas from what you see in Elsa's wardrobe and get the maximum number of votes for each of the photos. Start by choosing a hairstyle, then clothes, then choose shoes. After all this, do not forget to choose jewelry. This may be a handbag, tiara or smartphone. Played: 2835. Added: 15-11-2018, 00:27. 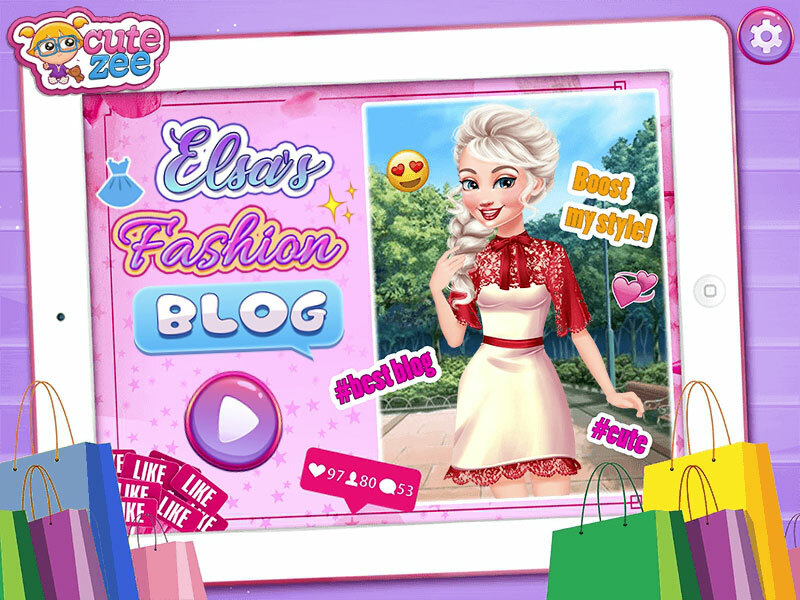 Elsa fashion blogging dress up game. A new outfit idea for Elsa fashion blog.